Donate Here To Support Women at the Well-Broward on this #GivingTuesday! After the retail frenzy that is Black Friday and Cyber Monday, you may have a bit of a retail hangover. The cure for that slightly sick feeling could be the great feeling you get from helping others, and that's what #GivingTuesday is all about. Assure successful entry into the workforce with the skills required to succeed. 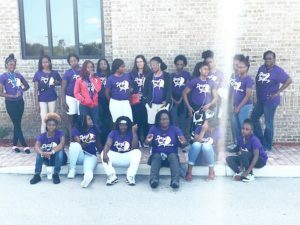 Our “Get Focused Stay Focused” college readiness program culminates with teen girls developing an individualized, online, 10‐year Plan that motivates them to envision a self‐sufficient, productive life beyond high school, college or post‐ secondary training. We provide the structure for teen students to continue their personal development and career exploration. As the teen girls update their plans to better reflect their dreams, hopes, and aspirations, they take more ownership and become more comfortable with making decisions that involve change—which is a crucial survival skill in the workforce of the 21st century. Your gift of $62 will contribute to the continuing success, in guiding ONE teen girl to college, and it will help support our "Get Focused Stay Focused" efforts to increase access to post secondary education. A gift of $124 or more will contribute to the continuing success, in guiding TWO teen girls to college and you will also be giving underprivileged girls access to a transformed mind-set to recognize their self-worth and potential. — one of the most powerful gifts of all. For your gift of $124 or more, we will send you an incredible gift - A tee! Wear your feminism while supporting the empowerment of adolescent girls living in unhealthy communities where it is a struggle to make healthy life choices. 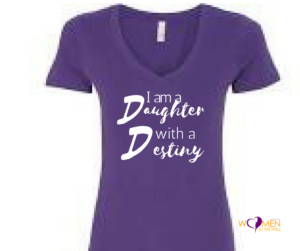 By purchasing a tee listed below, not only will your loved one receive an incredible gift, you will also be giving an underprivileged girl access to a transformed mind-set to recognize their self-worth and potential. — one of the most powerful gifts of all.